2001: In 1931, The Weekly Times newspaper launched a new section dedicated to women’s issues. This became an immediate hit, and the column’s editor, Miranda, became an instant friend to thousands of women struggling to cope with the Depression. 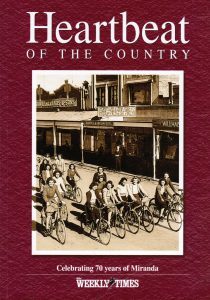 This book follows 70 years of the column that became a social institution. I was the seventh Miranda, 1993-2004, and felt honoured on behalf of country women everywhere when invited to research and write Heartbeat of the Country. 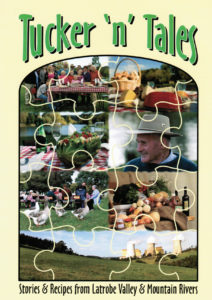 2006: Editor and life-writing mentor for the social history book, Tucker ‘n’ Tales, stories of women and men who settled in the Latrobe Valley region of Victoria. 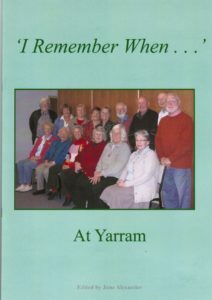 The rich social history of this small South Gippsland town comes to life and is preserved forever in the stories of nine Yarram and district residents, aged 65 to 88. 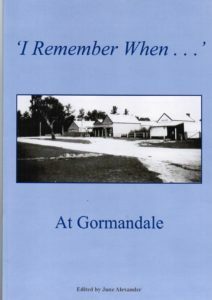 I Remember When … At Gormandale, another social history gem, evolved from a series of writing workshops held over several months with town and district residents. We met at the Neighbourhood House, and between morning and afternoon sessions continued to share while chatting over a sandwich lunch. 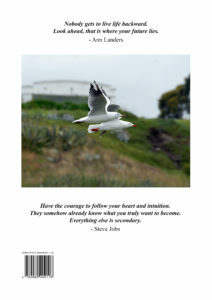 Uplifting for everyone involved. One lady came along to the first of the series’ workshops on her 80th birthday. Another, in her 90s, caught a bus to the class from Traralgon. She was determined not to miss the opportunity to participate and record her story for others to be inspired by and cherish. A living treasure for sure. 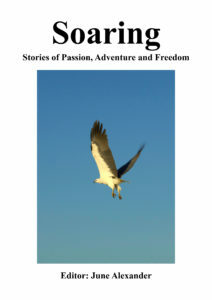 Soaring – Stories of Passion, Adventure and Freedom, edited by June Alexander. Participants in life-writing classes held at the Geelong Mood Disorder Group created an amazing series of stories that reveal life can be rich, rewarding and purposeful in many ways in spite of living with a mental illness. We need more stories like this to help raise awareness and understanding of mental illness in our communities.